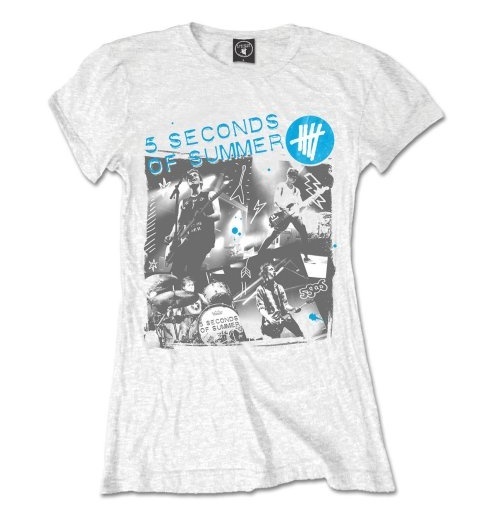 T-Shirt 5 seconds of summer: Live Collage - Frauen. In weiss. Aus Baumwolle. Design: Live Collage.